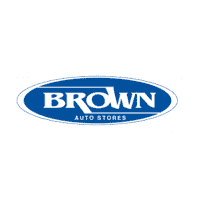 Thank you for visiting another one of Brown Nissan of Del Rio's online listings! Please continue for more information on this 2017 Hyundai Accent SE with 41,062mi. You could spend more on fuel each month than on your vehicle payments, so why not consider one with exceptional fuel economy like this 2017 Hyundai Accent. You can finally stop searching... You've found the one you've been looking for. You've found the one you've been looking for. Your dream car. Based on the superb condition of this vehicle, along with the options and color, this Hyundai Accent SE is sure to sell fast. Brown Chevrolet Buick GMC of Eagle Pass is honored to present a wonderful example of pure vehicle design... this 2017 Ford Focus SE Hatch only has 38,087mi on it and could potentially be the vehicle of your dreams! How to protect your purchase? CARFAX BuyBack Guarantee got you covered. This 2017 Ford Focus has great acceleration and wonderful styling without sacrificing exceptional fuel economy. The look is unmistakably Ford, the smooth contours and cutting-edge technology of this Ford Focus SE Hatch will definitely turn heads. A truly breathtaking example of pure vehicle design achievement...this is the vehicle of your dreams! New Arrival! PRICED TO SELL QUICKLY! Research suggests it will not be available for long. This model has many valuable options -Aux. Audio Input -Front Wheel Drive -Keyless Entry -Power Windows -Cruise Control Automatic Transmission On top of that, it has many safety features Call to confirm availability and schedule a no-obligation test drive! We are located at 2520 Veterans Blvd, Del Rio, TX 78840. Check out this gently-used 2017 Toyota Corolla we recently got in. How to protect your purchase? CARFAX BuyBack Guarantee got you covered. There are many vehicles on the market but if you are looking for a vehicle that will perform as good as it looks then this Toyota Corolla L CVT is the one! The Toyota Corolla L CVT will provide you with everything you have always wanted in a car -- Quality, Reliability, and Character. Just what you've been looking for. With quality in mind, this vehicle is the perfect addition to take home.